One of the ways “Parenting with Love & Logic” proposes we move our kids from total dependence on us to independence is by giving them choices. Foster Cline, M.D. and Jim Fay open the sixth chapter of their book, “Love & Logic” by stating that giving our kids a certain amount of freedom and control instills them with responsibility and the more control we give to them, the more control we gain. 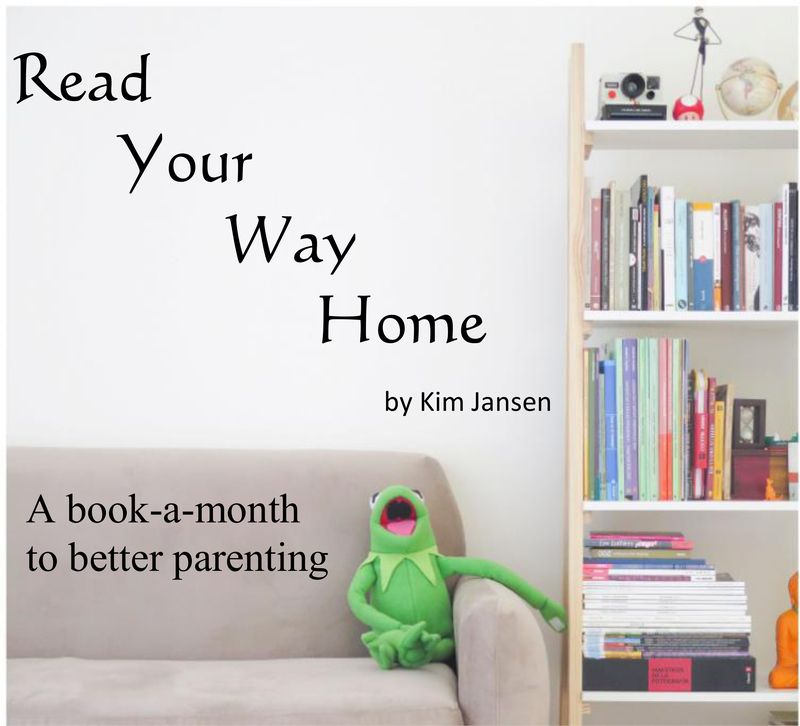 While we don’t want to give too much control to our children and turn them into brats, the book proposes allotting them more and more control as they get older. We should offer choices only when we’re willing to live with the consequences and our child is not in danger. 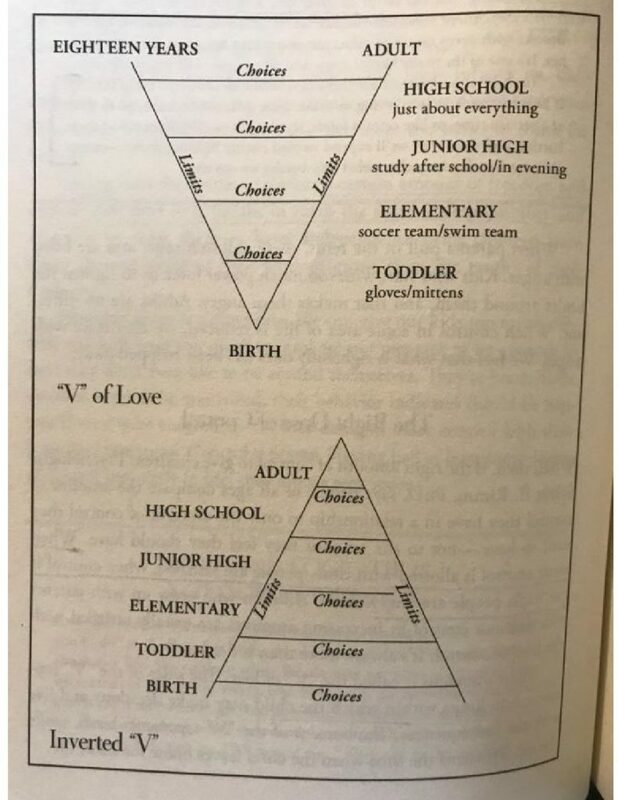 When our kids are little, for instance, we can ask them, “Do you want to wear gloves today?” When they’re seventeen, they can make decisions in just about every area of their lives (Figure 1 top: “V” of Love). There are some areas of our children’s lives that are beyond our control – what children learn, think, and eat; when they go to bed or the bathroom, etc – and are best avoided. The secret to establishing control as a parent is fighting battles we know we can win and offering choices in areas we do control. Being honest, my first thought when I read this is that these parents seem like pushovers. Diving into one of these examples, the book goes on to show that kids can learn that it’s best to listen when we ask in a kind way. The mom walks off and the son temporarily thinks he won the battle, but the next day when he asks his mom to take him across town to his soccer game, he discovers the consequence for being uncooperative. Mom laying the boom! While it initially seemed like she was being a pushover, using thinking words rather than fighting words sets her up to later teach this lesson and show her son the importance of kindness and respect. That gives me as much control as I need, they argue. I don’t need to control whether the eggs go down her throat – I actually can’t control that. But I can control when we leave for school. After a week of feeling like a chicken with my head cut off getting all three kids fed, dressed, and out the door while my husband travels and showing up late two days, this is an important reminder: I AM IN CONTROL. According to “Love & Logic,” giving children choices works because it forces them to think. It provides opportunities to make mistakes and learn from the consequences. Giving age-appropriate choices also helps minimize control battles with our kids and shows them that we trust their thinking abilities. “Dealing with choices and being held responsible for their own decisions prepare youngsters for the lifetime of decision making that awaits them in adulthood,” as Cline and Fay put it. As we give our kids more choices, showing empathy without rescue when unwise choices result in consequences is what “Love & Logic” proposes as a recipe for success. 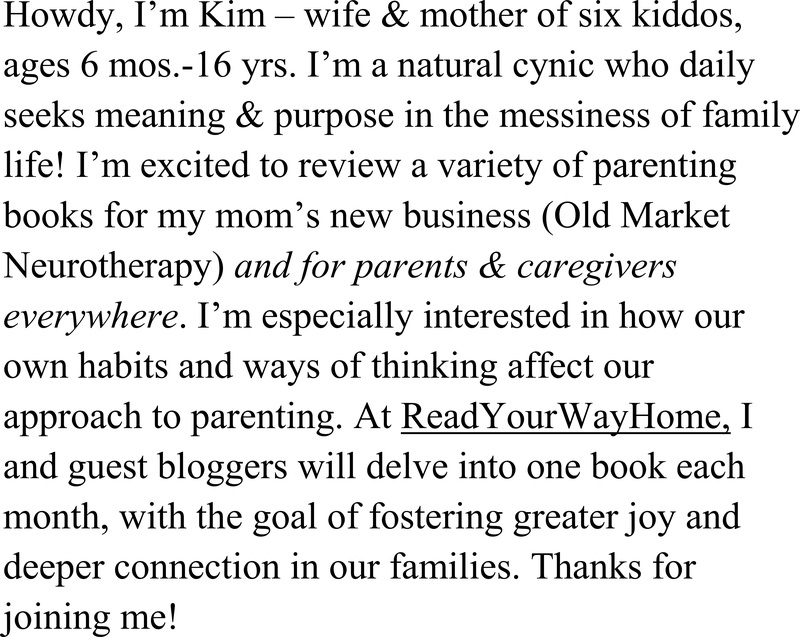 Stay tuned for my last post in this book series to see how.